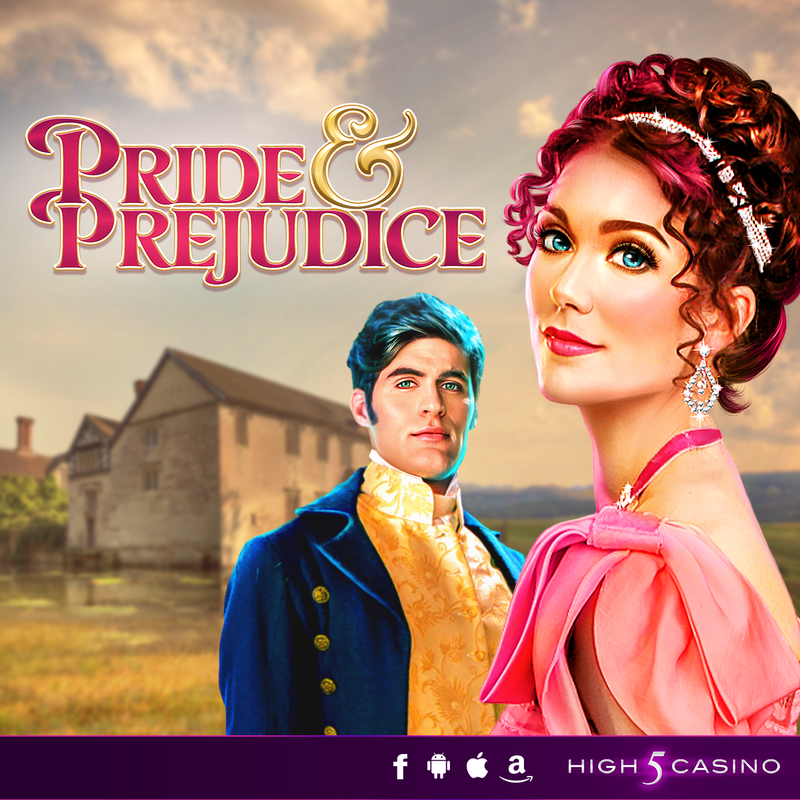 This entry was posted in game preview, Game Release, High 5 Casino, High 5 Games, top games and tagged Android, App Store, Apple, Facebook, Free Games, game preview, Game Spotlight, Google Play Store, High 5 Casino, High 5 Casino Mobile, High 5 Games, iOS, iPads, iPhone, iPhones, iPod, mobile gaming, Mr. Bingley, Mr. Darcy, New game, Pride and Prejudice, Right-to-Left Pays, slots, social gaming, Super Symbols, the Bennet Sisters by hoothigh5. Bookmark the permalink. Wasn’t crazy about the book, but always look forward to new slots from High 5 Casino. Thanks!!! Hi Ted, We aim to ensure that our players have a great gameplay experience. Like slots on casino floors, games can run hot or cold. We wish you the best of luck!